"Invisible Cities" is a mobile dashboard for collaboratively developing AR monuments and expansive artworks in public squares. Users are able to create, share, and maintain public AR works that can be shared with a small community or the entire city. 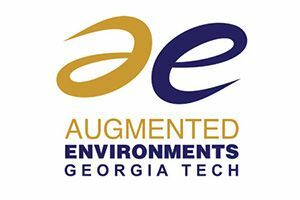 To get started, users need only download the Georgia Tech's Argon AR browser and be in a public space with AR content. From there, they can engage in creating a socially engaged AR with their fellow citizens. In an age of post-truth and fake news, AR public monuments serve as a touchstone for cultural heritage and expression. Affording communities the ability to develop AR worlds that reflect their sentiments, is a key aspect of this project. The research does take a cue from Italo Calvino's wonderful book, Invisible Cities. Lab activities focus on understanding how to build interactive computing environments that directly augment a user's senses with computer-generated material. Researchers are interested in augmenting the user's perception, and place particular emphasis on the interaction between the users and their environment.